Trader Joe’s was in my regular shopping routine for a long time, but when I learned how to be strategic with my grocery shopping, I stopped going as often because I was able to find similar deals without having to drive as far. Since our dietary requirements have changed a little bit, I’m willing to give the store a second chance. Plus, I hear there really are some great deals to be had! The very first thing you should know about Trader Joe’s is that they are unlike any other traditional grocery store in several ways. It’s important that we realize a few things, otherwise we’ll go into the store with a certain expectation and we could leave disappointed. The driving force behind Trader Joe’s is uniqueness. Yes, you’ll find some things that you can find at other grocery stores, like cashews, milk and whole wheat bread. But they’re known for unusual flavor combinations that you typically won’t find anywhere else, like pumpkin cornbread croutons, peppermint flavored ice cream cones and sriracha lime popcorn. If you enjoy fun foods and different flavor combinations, then you’ll really enjoy shopping at Trader Joe’s. Most grocery stores carry on average 30,000 items in the store. Trader Joe’s carries just 3,000. This is a significantly lesser amount of food items, and it explains why the stores are smaller, why the selection is limited and why you can’t necessarily get EVERYTHING on your list from Trader Joe’s. If you want to shop at Trader Joe’s, keep in mind that you might have to make a second stop at a traditional grocery store or Walmart to get everything on your list. 80% of those 3,000 items on Trader Joe’s shelves are an in-house brand. You’ll see Trader Joe’s, Trader Jose’s (for Mexican cuisine), Trader Jacque’s (for French cuisine). Trader Ming (for Chinese cuisine), Trader Giotto’s (for Italian), Trader Joe-San (for Japanese), Joe’s Kids (for children’s food), Baker Josef’s (for flour and bagels) and JosephsBrau (for beer) far more often than you see brand names. Trader Joe’s has a very high standard of quality when it comes to their private label. Many of the private label items are actually name brands. I thought this was only the case at Costco, where many Kirkland brand items were actually made by the large national chains (i.e. Kirkland tortilla chips are actually made by Mission!). 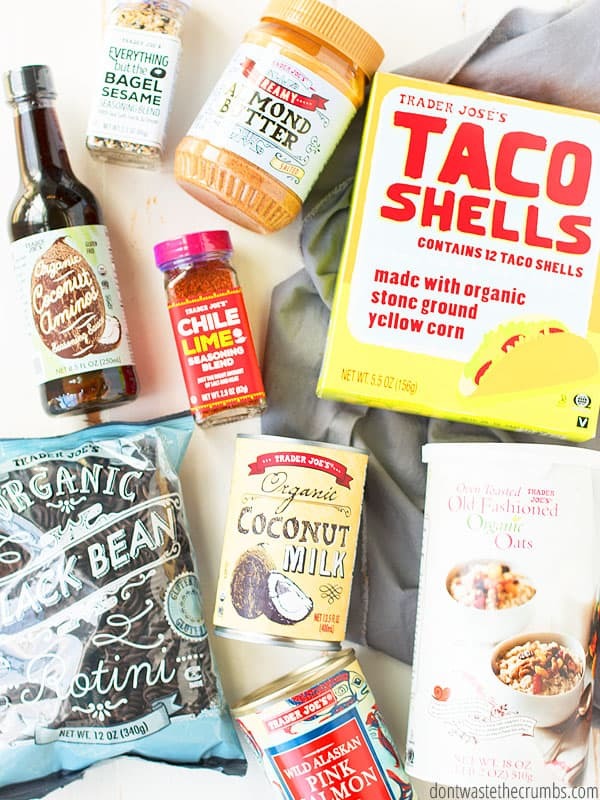 Can You Save Money at Trader Joe’s? Everyone wants to know if you can save money at Trader Joe’s, so let’s put all the cards on the table and see if you really can. Because so many products are private label, Trader Joe’s is able to keep costs down. As I mentioned earlier, 80% of the products on Trader Joe’s shelves are private label. That means they can reduce mark-ups and eliminate the middle man in the food chain, and pass the savings on to the customer. Also, large brands charge grocery stores fees for putting one of their items on the shelf. This cost gets passed on to us as the customer. Because Trader Joe’s doesn’t offer many national brands, they can skip this fee and offer lower prices. Trader Joe’s prices are the same nation-wide. Whether you’re shopping in New York City or San Diego or anywhere in between, the prices at Trader Joe’s are consistent across the United States. Of course you MIGHT find a 10-20¢ difference, but that’s marginal compared to the $1-2 price difference in produce I found when moving from California to Georgia. There are no sales, period. Most grocery stores have weekly sales and Walmart has monthly sales. Trader Joe’s has no sales whatsoever. As a company, Trader Joe’s claims it already offers the lowest prices it can on a daily basis, so there’s no room for sales, specials or coupons. Trader Joe’s accepts manufacturer coupons. I quit couponing years ago, but if you’re still playing the game, bring your coupons with you when you shop at Trader Joe’s. They might not carry many national brand items, but they accept coupons for the brands they do carry. Trader Joe’s is on Ibotta! I’ve shared before my love for the rebate app Ibotta – here’s my honest review on Ibotta, here’s how to maximize your savings and here’s how you can use the app to find healthy food. I love that the app itself is free, and that I’m earning cash back on the things I buy anyway! The fact that Ibotta has rebates for Trader Joe’s is one more reason I’m considering adding the store back into my shopping routine. You won’t find clearance markdowns at Trader Joe’s. Every store has someone in charge of working with local food banks to hand over anything that is still edible but not good enough to sell. I view this as both good and bad. I’m really glad that the food isn’t simply being thrown away, but shopping clearance markdowns is one of the ways I find really great deals on organic and grass-fed meat. There’s a lot going on inside the doors of Trader Joe’s, and if you’re not careful, you’ll find your cart and budget overflowing with pumpkin spice everything and convenience foods that don’t meet your real food priorities. Anytime I go to Trader Joe’s, here’s what I’m looking for. Think pasta, nut butters and sauces – especially those you can’t find anywhere else like truly grain-free pasta (it’s made with 100% beans), the “Everything But the Bagel” seasoning and any unique seasonal flavor. 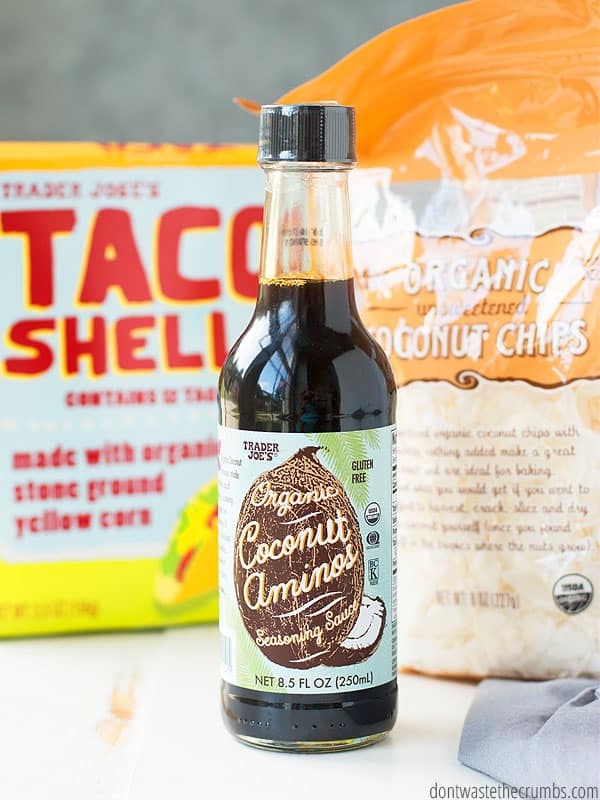 You’ll also want to stock up on items that are hard to find elsewhere, like organic coconut aminos, unsweetened coconut chips and organic corn taco shells. We’re dairy free at the moment, but I’m hoping that changes in the future and when it does, I’m getting all the brie, gruyere and Parmesan I can get my hands on! Buy the 99¢ greeting cards. I hardly ever recommend buying anything at a grocery store that isn’t food, but I have to make an exception here. Trader Joe’s offers greeting cards made by local artists for just 99¢ each. That’s the same price as what I’d pay if I were to go to Walmart or CVS! In this case, it makes sense to pick up a card at Trader Joe’s rather than making a second stop. Prepared foods, a la picnics. I make 99% of our food from scratch, but if I know we’re going to be on the road or if I’m shopping for a special day trip, Trader Joe’s is the place to stop for conveniently prepared foods that are still on the healthy side. 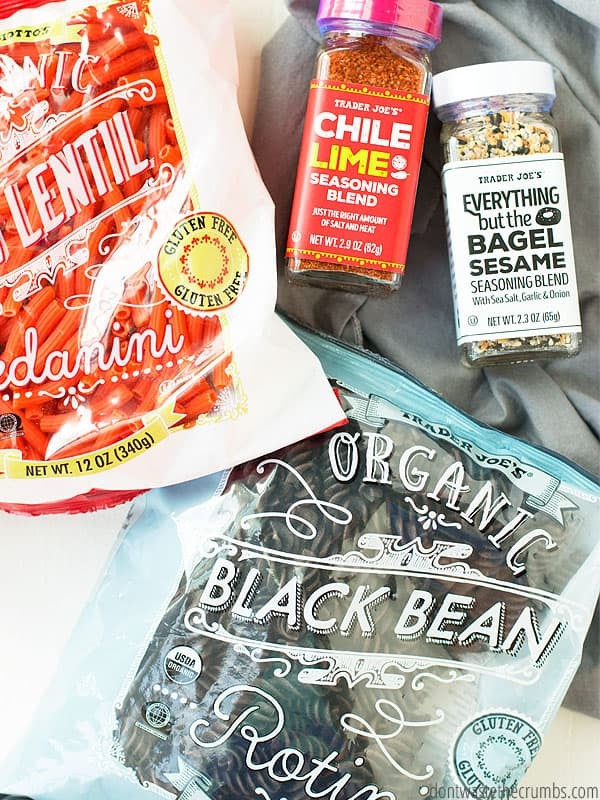 You’ll want to avoid the obvious junk that won’t ever go bad no matter how long it sits on your pantry shelf, but salsa, guacamole, salad kits, bowls (i.e. banh mi noodle bowl or salmon poke bowl), non-lettuce salads (i.e. corn & quinoa salad) and fresh breads are all a safe bet. In fact, if we were traveling and needed a place to eat that fit our current Whole30/Paleo preferences, you can bet I’d search for the nearest Trader Joe’s. Trader Joe’s knows exactly how to please this pumpkin-loving gal, so if it’s the season, you can bet I’m filling my cart with anything and everything pumpkin-flavored. You’ll want to keep an eye out for seasonal items, including Thanksgiving meal stuff and anything flavored with cranberry, pumpkin, mint or gingerbread. These are only available as long as there is stock, and once they’re gone, they really are gone. Use the Fearless Flyer to help you out with this. It’s not a sales flyer, since Trader Joe’s doesn’t have sales, but it does highlight seasonal items you might want to try. Plus you might find something that sounds delicious that you hadn’t thought of trying on your own! Produce that’s packaged how I want it to be. One of the downfalls of Trader Joe’s is that much of their produce is pre-packaged. For examples, you might find a 4-pack of tomatoes, a 6-pack of zucchini or a 3-pack of avocados. What if I only want one tomato, 2 zucchini and 5 avocados? When you shop for produce at Trader Joe’s, make sure you break down the price to per unit (i.e. per tomato or per zucchini) so you can accurately compare the price to your local grocery store. A price book will help you keep your numbers straight. I also recommend having a back-up plan for whatever produce you buy, since you could easily buy more than you really need. Better yet – save your produce list for a traditional grocery store where you have more control over the freshness, quantity, quality (i.e. checking for bruising and blemishes) and buying local. Allergy-friendly foods and vegan alternatives. I mentioned the grain-free pasta, but I was surprised to find plenty of allergy-friendly substitutes throughout the store, including gluten-free bread, gluten-free pretzel twists and plenty of hot and cold cereal options. There are also plenty of items to choose from if you’re vegan. I found no beef ground beef, ToFurkey, soy chorizo and cream cheese alternative to name a few. 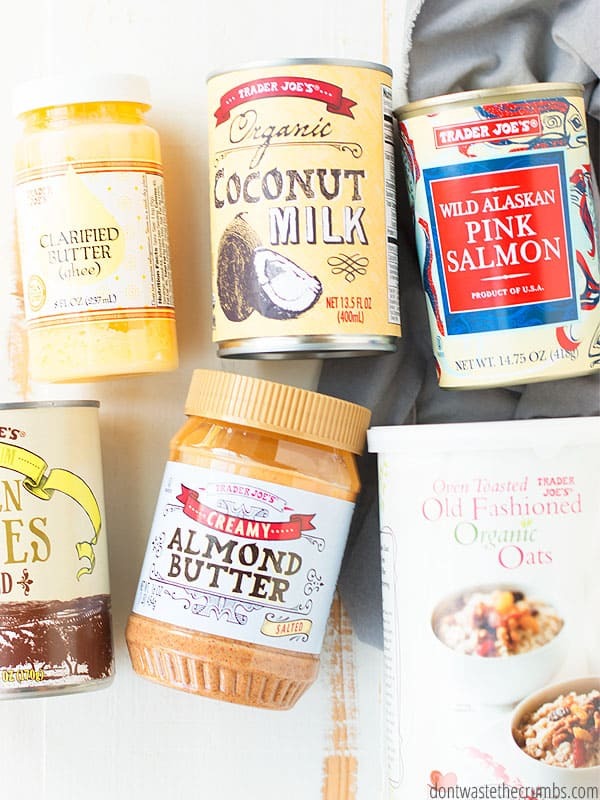 Tip: You can visit the Trader Joe’s website to get a full list of their vegan, kosher and gluten-free foods, making it super easy to create a shopping list before you leave the house! I didn’t realize how expensive fresh flowers were, until I actually looked at the prices! Flowers and plants start at just $2.49, which makes it light on the pocketbook to adorn your kitchen table with fresh flowers now and then. What’s it Like to Shop at Trader Joe’s? Trader Joe’s falls at the other end of the spectrum, striving to make your shopping experience a true pleasure, and here’s how they do it. Unless it needs to be microwaved* or thawed*, you can pretty much sample anything you want before buying it. Want to see if that sugar-free cereal is any good? Curious if peanut butter and yogurt really do taste good together? Want to know if the cookie butter hype is all it’s cracked up to be? Just ask an employee if you can try a sample and they’re happy to oblige. You do want to limit your sampling though, because the goal isn’t to get a free lunch! Don’t feel bad asking for samples either. Whatever items are opened for sampling are divvied up between the employees. No opened container will go to waste! * Whether you can try something that needs to be microwaved or thawed seems to vary from location to location, so it’s best to ask your local store about their policies. You can take something back, no questions asked. If by chance you didn’t sample something in the store and you brought it home and it was downright awful (or that sugar-free cereal tasted fine to you but the kids won’t touch it with a 10 foot pole), just take whatever you haven’t eaten back to your store for a full refund. After work during the week and weekends are the busiest times to shop. Most people tend to shop when they’re not working, i.e. after 5pm and on the weekends. If at all possible, try to shop first thing in the morning during the week. You’ll avoid the crowds for sure, but you’ll also get the best selection. Shelves are re-stocked each morning and once an item is gone, the shelf stays empty until tomorrow. Keep your kids busy with the scavenger hunt. Each store has a stuffed animal hiding somewhere within. Keep your kids busy by having them look for the animal. When they find it, tell an employee and the child is rewarded with a fun and healthier snack (usually a bar or a piece of fruit). Have your kids shop with you. Trader Joe’s has these super cute mini grocery carts that are perfect for the kids who like to be big helpers. If your kids are skilled enough to not run people over or race around the store like an Indi car driver, give them a cart and let them put items within reach in it. Enter to win a gift card, every time you shop. Bringing your own grocery bag is an easy way to reduce waste, but it’s also an entry to win a prize in a weekly raffle drawing! Anytime you spend $25 or more AND bring your own bag, you’re entered to win a variety prizes, including a $25 gift card. You and I both know that spent wisely, $25 can make a big dent in your grocery bill! 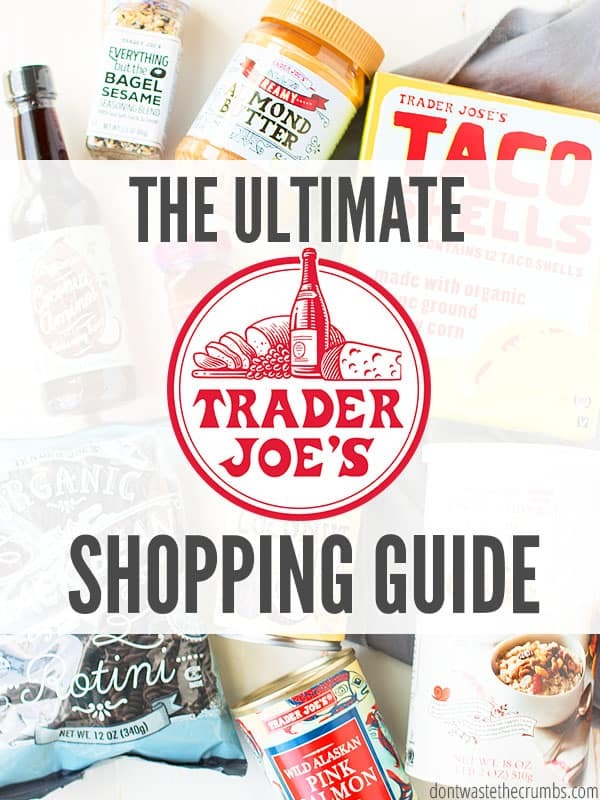 I’m by no means an expert, but this ultimate guide to shopping at Trader Joe’s certainly makes it easier to find good deals and walk away feeling good about what I put in my cart and my grocery budget! Learning the ins and outs of your grocery store will help you save money! Little bits like meal planning and a price book and knowing your way around your store are the first steps to saving in the grocery store. Making food from scratch and avoiding food waste help you stretch your frugal grocery budget even further. It took me years to figure out how to tie all of those strategies (and then some) together to save the most on real food. And now you can do it too (without taking years to learn it!). Grocery Budget Bootcamp will teach you the best ways to make the most of your grocery budget, all while buying real food! Don’t have a Trader Joe’s? Maybe one of these guides will help you out! Are you a big fan of Trader Joe’s? What’s on your must-buy list? Is there anything you DON’T buy there? Leave your stories and ideas in the comments below!